Editor’s Note: This biweekly column is sponsored by Dominion Wine and Beer (107 Rowell Court, Falls Church). This week’s Guide is written by Arash Tafakor of Dominion Wine and Beer. We are now serving lunch full time! Whether you’re on a limited time schedule, or enjoying a leisurely day, we offer great food, service and atmosphere. Hours are below. Try our fantastic roasted Maple Lawn Turkey Farm sandwich. 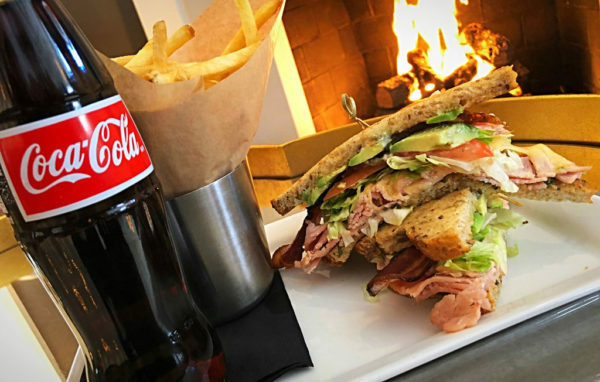 Sliced fresh and served warm between fresh Lyon Bakery multigrain bread, topped with Havarti cheese, lettuce, tomato, avocado, Nueske’s Applewood Smoked Meats bacon and herb mayo. Fries or salad on the side. Next week we’ll introduce a brand new lunch menu with a handful of new items! Stay tuned. Follow our Twitter handle @DominionWB for alerts when kegs are tapped. Download the DigitalPour mobile app to view all 36 of our rotating taps in real time!